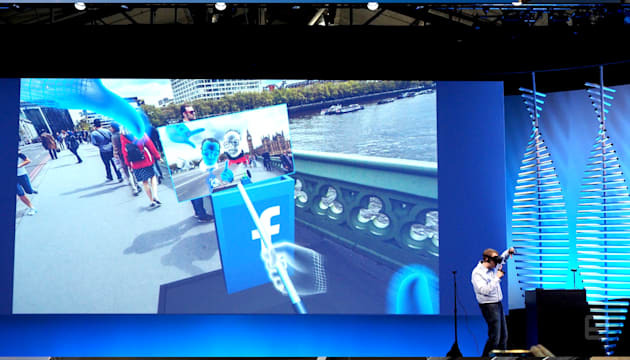 Zuck lays out Facebook's next 10 years of VR and AR. Sort of. Onstage at its annual F8 developer conference, Facebook CEO Mark Zuckerberg shared the social network's 10-year road map. In addition to the company's dedication to live streaming (including a new API so developers can add live streaming to their hardware), he detailed the company's thoughts on how AR and VR will affect our lives. He also showed off a pie-in-the-sky pair of AR glasses that you probably won't be able to pick up from your optometrist anytime soon. Onstage Zuckerberg showed video of a two-player VR game that Facebook is investigating. But it's more than games. 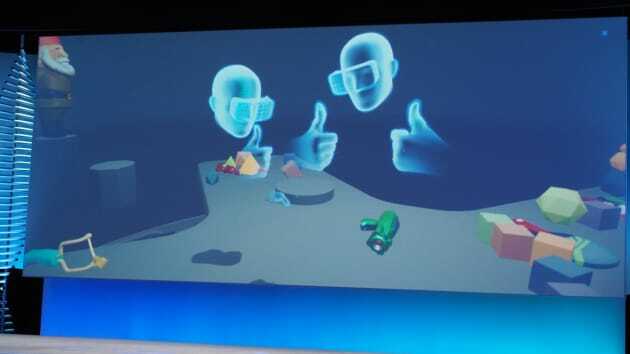 During his keynote presentation he mentioned that while his first steps were saved in a physical baby book, his children might be sharing their kid's first steps via VR with friends and family. During the second day of the conference, Facebook CTO Mike Schroepfer demoed a two-person VR app with a co-worker back at the social network's headquarters. The virtual avatars traveled to various locations and even took a VR selfie to remember their "trip." Still Zuckerberg noted that it's "going to take a long time to make this work." But with the Oculus Rift finally shipping and the Gear VR already on the market (and in the hands of developers at the event), Facebook has placed itself in the center of VR's future.